Matt Marchese has been studying martial arts from a young age, eventually becoming a black belt in both Karate and Tae Kwon Do. 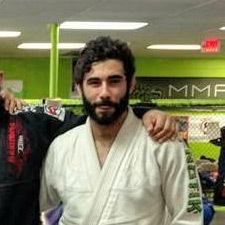 In 2011, he started the gentle art of Jiu Jitsu, training at gyms all across the country, meeting new people, and adding new techniques to his arsenal. Starting in Colorado, moving his way eastward, he now calls Black Hole his home.